This was my first novel by Laura Dave and I wasn't disappointed. 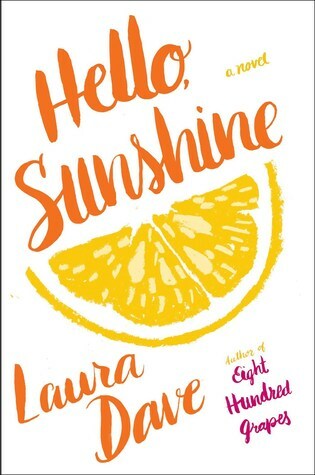 Hello, Sunshine was the perfect summer read and I couldn't put it down. From work drama, to family and romance drama, this novel had it all. I thoroughly enjoyed getting to know Sunshine and her personality and this novel hit on a lot of important topics. I especially liked how Dave made the reader contemplate if a person becomes "bad" all at once or over a period of time. Hello, Sunshine could be described as a "chic-lit" novel, but it didn't have the typical romance theme, and it included a little bit of mystery as well. Sunshine's career secrets were blown up on social media, and when the reader finds out who it was that leaked the information, well... let's just say it's pretty surprising! I loved the fast paced story and the characters were entertaining and complex. This was such a fun novel and I would highly recommend it to readers who enjoy chic-lit and easy reads. *Thank you NetGalley and Simon & Schuster for sending this novel in exchange for an honest review.